I've updated my HP notebook CPU from AMD A4-3320M to A8-3520M. Has been working for a while, untill I switched on Dual Graphics mode and BSOD . So I've tried amdcleanuputility and install drivers once again. 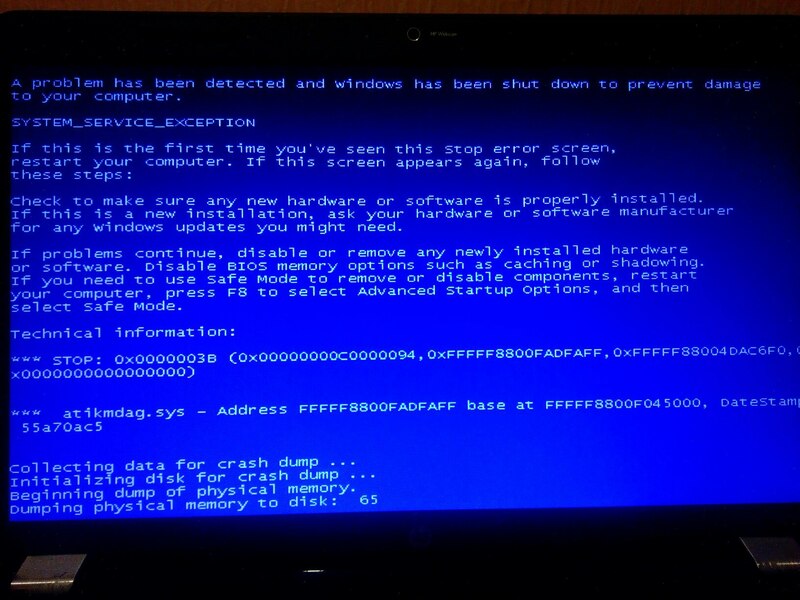 When I've done it I've got BSOD every time windows launches. So first time I've thought it's compability problem (6620G and 7400M). I've plugged in default CPU (AMD A4-3320M) and reinstalled drivers but nothing changed. Tried windows reinstalling, changed RAM modules and nothing happens, BSOD only. Help me plz. P.S. :sorry for my bad english. I can't believe it's even working. How did you change the cpu? Is your bios compatible with the new cpu? My notebook has some CPU lock. U turn it and it may be unplugged freely. U just look for same socket and TDP CPU. And it was working with 7400m really, but some time ago I've caught bsod and here we are. I think I have to call service and solder discrete video out.